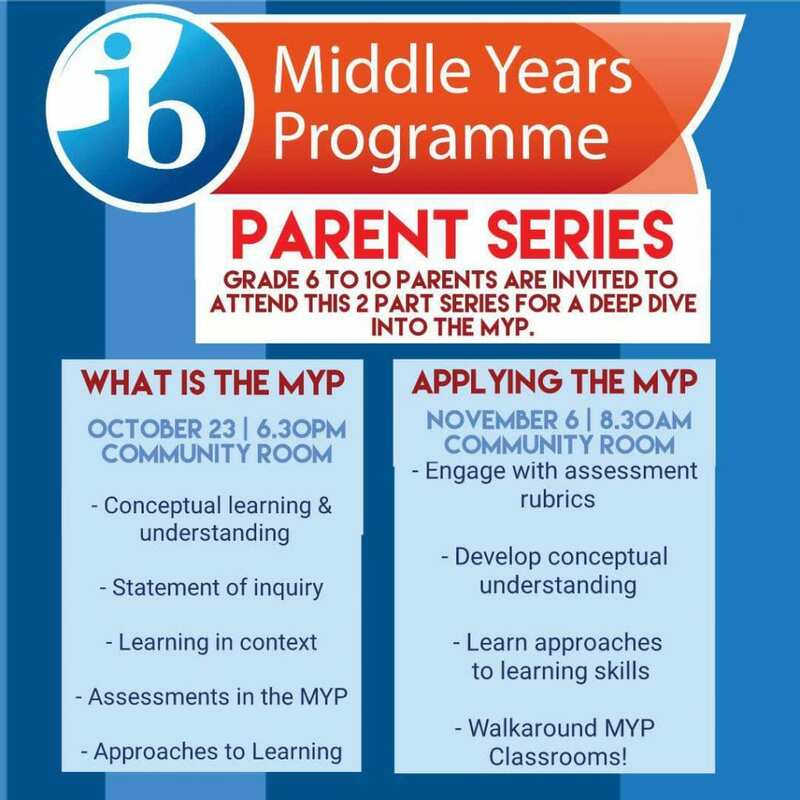 Applying the MYP is a hands-on workshop where parents will be engaged in activities to acquire a deeper understanding of how the MYP works in practice! How do students engage with assessment rubrics? Example of developing conceptual understanding. Spend a short time in 2 different MYP classrooms then debrief what we see. If you were unable to attend the part 1 session – ‘What is the MYP’ – which gives you basic understanding of the MYP concepts, please make sure to register for the next one coming up on January 22. The part 2 – Appyling the MYP will also be repeated on January 29. What is the MYP (Jan 22) Is a lecture based talk designed to give you basic understanding of the MYP concepts and language surround our curriculum. What is conceptual learning / understanding? What is the purpose of the statement of inquiry and inquiry questions? Assessment in the MYP – How does criterion based assessment work? This entry was posted in MS by communications. Bookmark the permalink.